Founded in 2016, Ceramic Friends is an network of ceramicists from around the world dedicated to promoting and selling the work of up and coming ceramic artists. We specialize in contemporary products and offer custom and production ceramics. 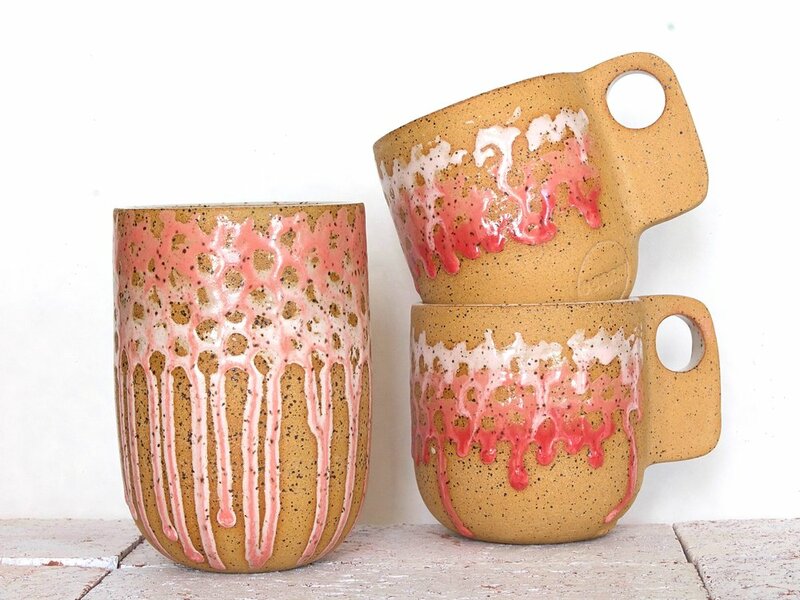 "I started doing ceramics in high school and was immediately hooked! After spending time learning about interior and industrial design I noticed that all of the things I was designing I really just wanted to make them out of clay. After college I started teaching ceramics full time at different studios in and around the LA area and in my free time I was making biomorphic ceramic sculptures out of my kitchen. The idea of Corrin Ceramics was born after marrying many different design concepts over the course of a few years. 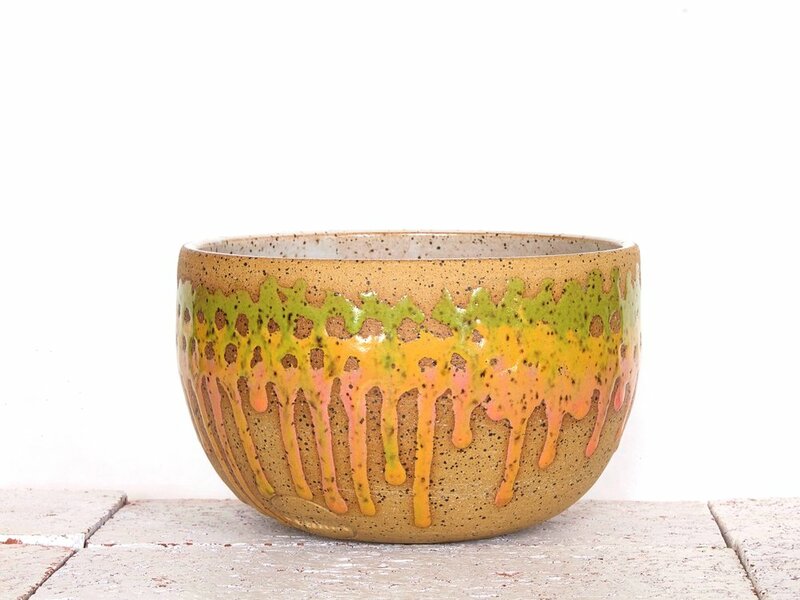 The colorful style of glazing was informed by a sculpture I made where the excess glaze had formed in a puddle under the piece and when I lifted it up it left the pattern that I now decorate my wares with. The clean and minimalist style is informed by mid-century modern and Scandinavian design concepts and the idea of blending the earthy texture of the raw clay with the dynamic nature of the colorful underglazes to create something timeless and effortlessly balanced.